Nigel Mendham creates a beautifully balanced rhubarb dessert recipe that is full of texture and flavour in this unique twist on a classic rice pudding recipe. 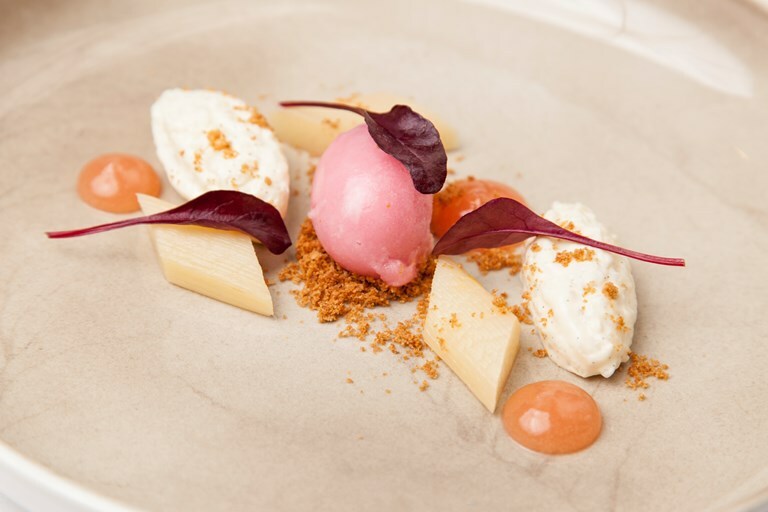 The creamy, set rice pudding is complemented by a tangy rhubarb sorbet, tender sous vide rhubarb pieces, and a warming crunch from the ginger biscuit crumble. A perfect balance of sweet and tart flavours.